About the Authors of BabyDevelopmentGuide.com - Who We Are. 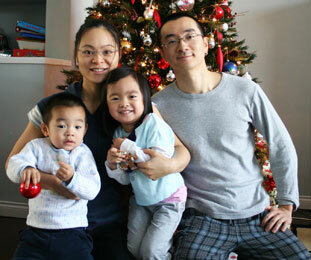 We're Jim and Elena, parents of three wonderful children. As we're deeply involved with our children and dealing with all different types of parenting issues, we created this website to share many of our experiences, thoughts, ideas, tips, and useful information about babies and toddlers. My husband designed this site, and we both contribute and write articles. It's not easy being parents, and I'm sure most if not all parents will agree to some extent; however, being parents has been one of the most (if not "THE") most rewarding experience for us. Early on, we both knew and agreed that we would have between 2 to 4 children - at least 2. Well, we're at 3 children right now, and I think that the hectic schedule and demands of parenting is catching up to us, and while we're still undecided on a 4th child, but it would appear that chances of having a 4th baby is slim. But hey, who knows, right? We'll see... That's a photo of our family above, where I was still pregnant with our 3rd child. 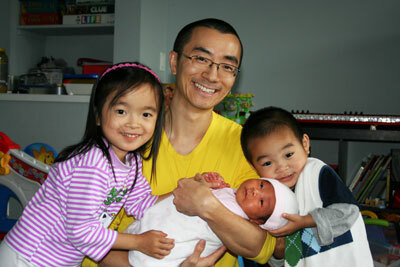 Here's another photo of my husband with our 3 children. Taken about 2 weeks after our 3rd baby was born. Raine is our oldest, Ethan is the middle child, and Joy is the newborn baby. 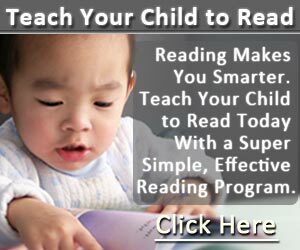 We're also creators of a very simple but exceptionally effective reading program that allows parents to easily teach their young children to read. It's not a program that teaches children to "read" by shape memorization or by sight word memorization - instead, it teaches children to read phonetically, by learning and understanding the relationship of letters, letter sounds, and how they combine to form words; it's about effective and efficient decoding of written English. With it, we taught Raine to read at 2 years 11 months old; Ethan was reading at just 2 years 9 months old; and we're certain that when Joy is old enough, she will achieve similar reading abilities. By the time our oldest daughter Raine was 4 years old, she was already reading at a grade 3 level. So, anyways, please browse around our site, and we hope that you will enjoy the tips and information provided in our articles.